Once again, the month of October is upon us…. a time for hauntings, Halloween - and all things spooky. 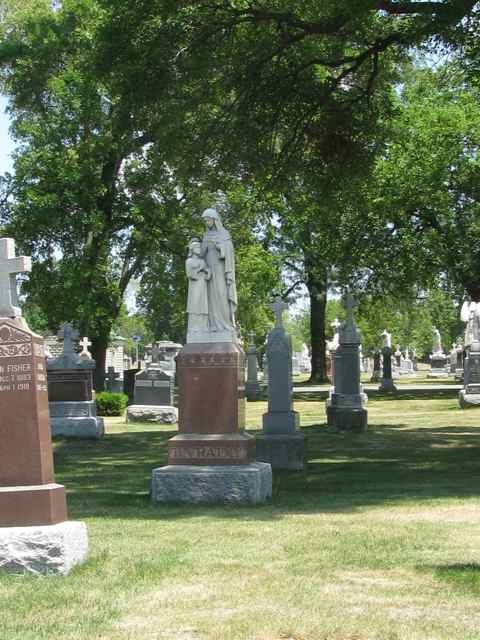 This month, A Grave Interest will take a look at several haunted cemeteries. Get ready as we explore some ‘lively’ places, and the people who make them so……. Resurrection Mary is one of the most popular ghosts in the U.S. 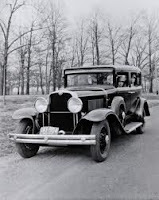 The story is based on a legend about a local girl who had gone dancing with her boyfriend at the Oh Henry Ballroom during early 1930’s. During the evening the couple had an argument and Mary decided to walk home; she was struck and killed by a vehicle while walking on Archer Avenue. 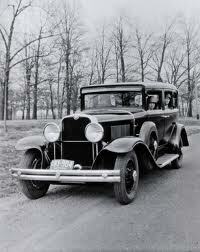 The driver fled the scene and was never found. 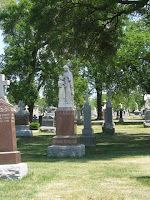 Mary was buried in Resurrection Cemetery, near the ballroom. Over two dozen people have reported picking Mary up as she walked along Archer Avenue on dark, cold nights. 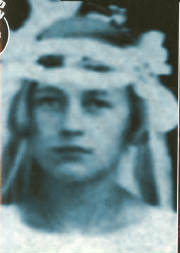 Most drivers report that she is dressed as if she has come from an evening of dancing, in a white dress from years ago. 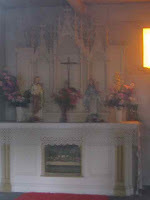 Mary usually disappears from the car as it passes the cemetery, or asks to be let out at the front of the gates where she disappears inside. 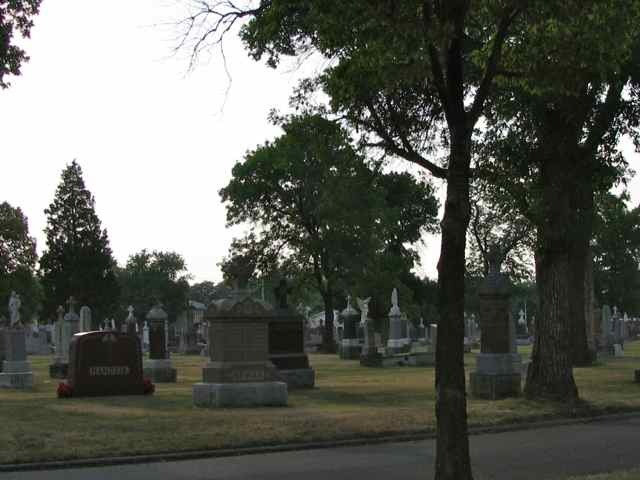 In 1976, police responded to a call about a young woman being locked in the cemetery. When they arrived, no one was found inside, but an officer did discover that the bars to the front gate had been bent, with handprints burned into the metal. 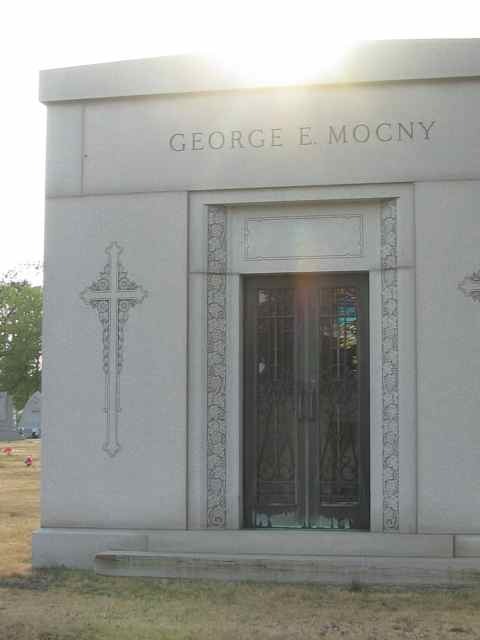 Cemetery officials said the gate was damaged by a truck and had it replaced to stop curiosity seekers from coming out at night. 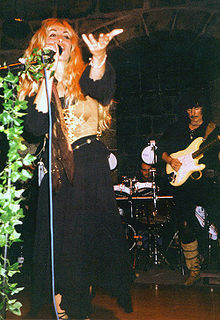 Several songs have been written about Resurrection Mary, including Laurie (Strange Things Happen) by Dickie Lee in 1965, Resurrection Mary by Ian Hunter in 1996, and I Guess It Doesn’t Matter Anymore by Blackmore’s Night in 2006. The Oh Henry Ballroom is still there on Archer Avenue. 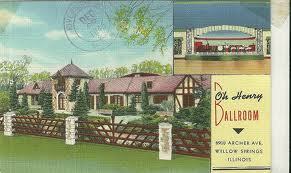 Named after the Oh Henry candy bar, the ballroom opened in 1921. 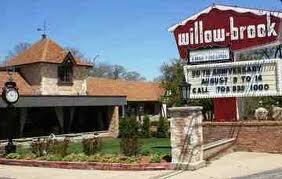 It now goes by the name the Willowbrook Ballroom. 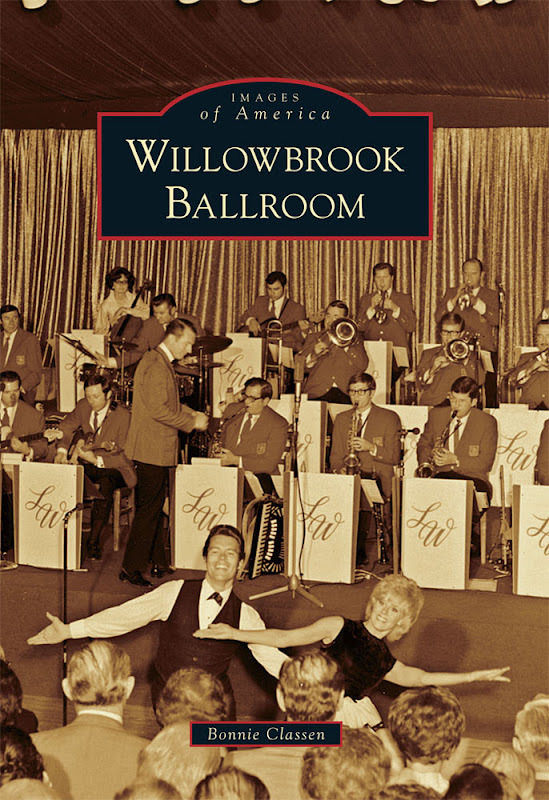 There is also a Willowbrook Ballroom book; maybe you’ll catch a glimpse of Mary in an old photo, dancing the night away….. The woman I spoke with at the main desk was not helpful. 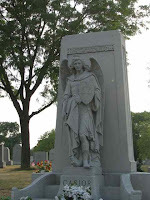 When I asked for a map and information on cemetery and its most famous interments, (I made no mention of Resurrection Mary,) she would give me neither. Luckily, I had already researched the cemetery and knew what gems were there – hundreds of gorgeous statues, an outdoor garden crypt with 5,000 vaults, and the Resurrection Mausoleum, an architectural marvel with stained glass window walls. 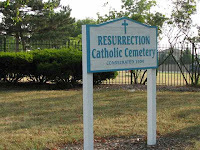 Resurrection Cemetery began in 1904 as a Polish Catholic Cemetery. Today, it serves all members of the Catholic faith with over 150,000 interments. 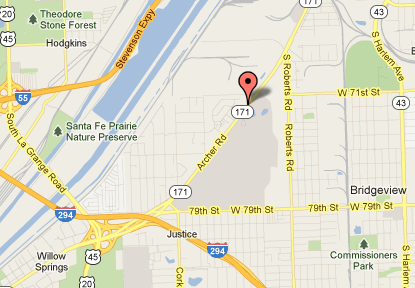 The cemetery is located at 7201 Archer Avenue in Justice, Illinois. It is open Monday – Friday from 8:30 A.M. to 4 P.M. and Saturdays from 9 A.M. to 1 P.M. Regardless of who she was, the legend of Resurrection Mary continues to haunt Archer Avenue and Resurrection Cemetery. 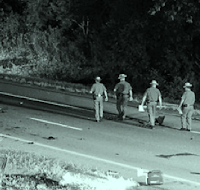 It just goes to show; you never know whom you’ll pick up along a deserted stretch of roadway on a cold, dark night…. What an interesting post. 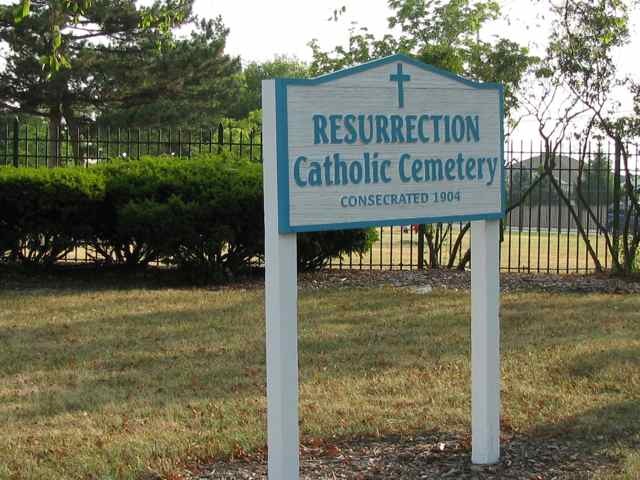 I can never understand why some cemetery personell go out of their way to be unhelpful. It's not as if looking does any harm. Thanks Nicola! It's always a toss up, will you be welcomed or harassed if personnel know you're there. Thank you Dan! I appreciate it!! 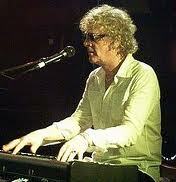 While I don't believe in ghosts, I do LOVE ghost stories. In Wayne County, Indiana, where I was reared, there was a tale about "Cry Baby Bridge," with a similar story line to Resurrection Mary's. 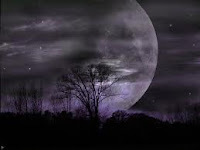 Though the versions and exact location varies, as is the case so often with these tales, the legend has motorists either hearing and then reporting sounds of a baby's cry or sightings of a mother asking help in finding her infant child - and then vanishing in the dark. Mark, I've heard about it...Did you ever try to find it? Thanks for your great post! 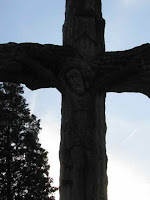 I'd heard the Resurrection Mary story, but never knew anyone who actually visited the cemetery. Now that you've been, would you drive past it late at night?